If you donate and have not already registered, you will receive periodic updates and communications from DAV (Disabled American Veterans). Thanks to dedicated members across the nation, the DAVA programs are far-reaching and the personal rewards fulfilling. Our members are diverse in their interests which is what has made the DAVA so successful. Our programs include Americanism, Community Service, Junior Activities, Legislative, and VA Voluntary Services. Foremost in our hearts is the goal of assuring benefit entitlement and compassion for our disabled veterans. Family and extended family of any military veteran who was not dishonorably discharged. 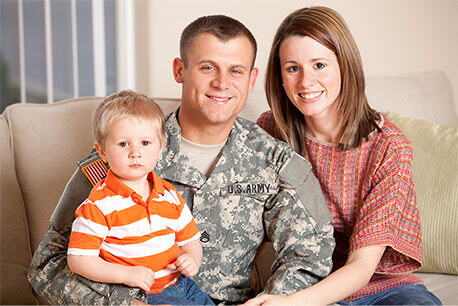 Family and extended family of any person injured and still in active service in America's armed forces. Family and extended family of DAV Auxiliary members. *DAVA membership fees are not tax-deductable or refundable. You Qualify for a Free Membership! Since you are 80 years old or older, you are eligible for a DAV Auxiliary membership at no cost. Copyright © Disabled American Veterans Auxiliary, All Rights Reserved.